The closing of Ridley’s brewery hit the family quite hard. At the time I was an accountant in London rushing around in the rat race. After some thinking time in New Zealand I realised how important my heritage was and it was then that I took the leap of leaving London to get back to what my name represented in Essex. What better pub to be the landlord of than The Compasses known as The Ridley’s Brewery Tap. I took on a wonderfully traditional pub and with it came some loyal punters and brilliant staff who gave me a warm welcome. Thanks to a combination of love and commitment for the place we are doing very well having introduced a beer festival each year and now starting the new venture of Bed and Breakfast. I just want to say thank you to everyone for making me feel at home, thank you for your sense of humour along the way and for making everyone feel welcome and for your help making the pub the great success it is today. It’s that time of year again when we seek the cosy warmth of a real fire and the days are just starting to get a little longer. We start to look forward to spring though it still seems a way off. Julie (our gardener) is clearing the paths and beds ready for the emergence of spring flowers. The very friendly and relaxed “Huffers & Puffers” cycling club meets every Saturday at 10.00am outside the pub. The story of how Ridley’s brewery came to be established begins with William Ridley, who in 1811 married Maria Dixon, the daughter of a mill owner at Hartford End. Shortly after their marriage the ownership of the mill passed to both William and Maria. Many of the old pubs were originally bakeries supplied by the Ridley’s Mill and in some of the pubs parts of the original ovens are still in place. In 1814, Maria gave birth to Thomas Dixon Ridley and it is after him that T D Ridley & Sons Limited is named. Thomas Dixon took on his father’s business, and in 1841 he married Lydia Wells, who came from a brewing family in Chelmsford. Within a year, Thomas Dixon had built his own brewery downstream from the mill on the bank of the River Chelmer, just one mile West of the Compasses Inn. Ridley’s expanded rapidly and by 1882, the year of Thomas Dixon’s death, it had established a chain of inns from the Sun at Saffron Walden (their most Northern outlet) to the Wheatsheaf at Rettendon (their most Southern). In their later years Ridley’s began to brew a range of different real ales, for example Witchfinder Porter: a dark beer with a strong hoppy finish. They also re-badged their bitter as Ridley’s IPA. Come and enjoy the Essex countryside, a well kept secret. The pub is situated in an idyllic place where bat willows grace the banks of the River Chelmer. Pike can be seen swimming in the clear waters and if you are lucky you will see the vivid flash of blue as the kingfisher flies past. See the historic pillboxes, remnants of World War II, amongst the wild garlic in the nearby woodlands and enjoy walking through the fields of linseed and wheat. 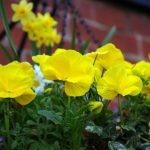 The local countryside is perfect for walking, cycling and horse riding. 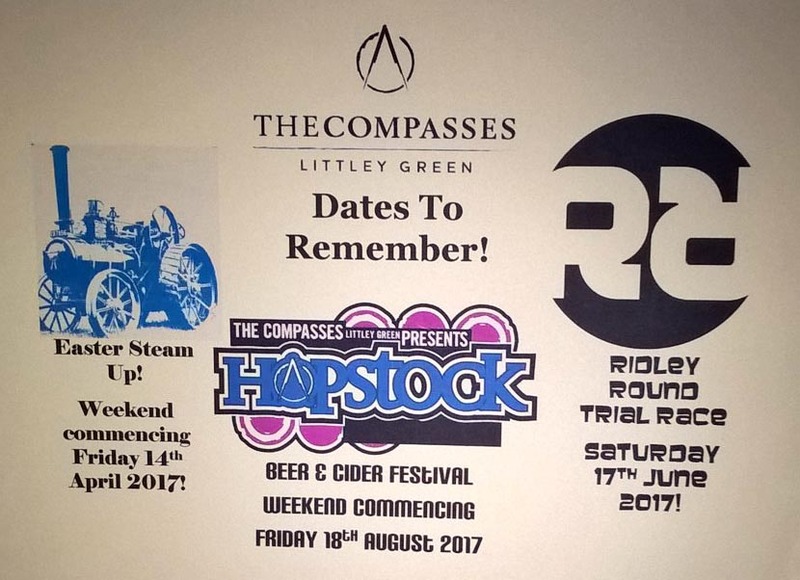 If you are interested, the The Compasses’ unique cycling shirts are available from the bar. For all those winter walkers there is a welcoming open log fire and a good pint of real ale to help you on your way.